Chile is ultimate comfort food. 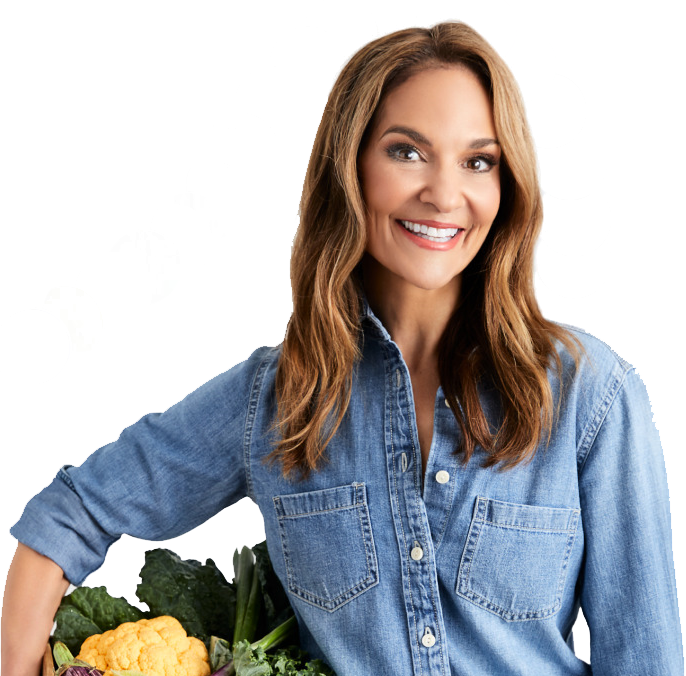 The recipe below, which comes from Chaya Coppersmith, of Brooklyn, New York, is packed with protein, easy to make and served up in a fun and creative way. Not to mention, you’ll get to enjoy four hearty portions. Dig in! Heat oil in a Dutch oven on medium-high heat. Add the vegetables and spices and season with salt and black pepper. Cook until softened, stirring regularly. Deglaze a pan with red wine and cook 2 to 3 min. Add chickpeas and kidney beans. Add tomatoes and ½ cup water. Season with salt and pepper. Add the meat and break apart with a spoon. Pick the cilantro leaves and put aside. Chop and add the stalks to the pan, with the balsamic vinegar, and season with salt and pepper. Bring to a boil, then reduce heat and simmer with lid slightly ajar, for 1 hour until slightly thickened and reduced. While the chile cooks, drizzle spaghetti squash with olive oil and season with salt and pepper. Place squash, cut-side down, on lightly oiled baking tray. Bake for 35 to 40 minutes, until squash is tender. Let cool for 10 minutes before serving. 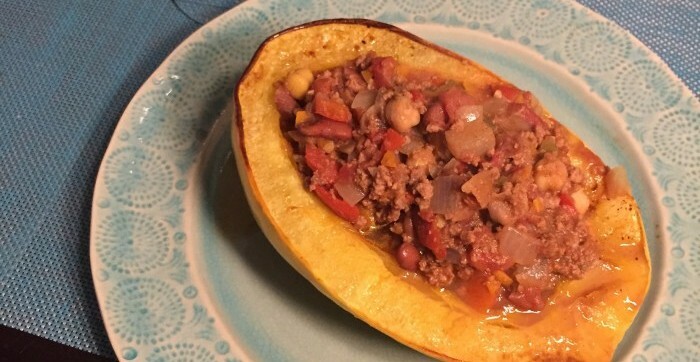 Serve chili inside squash halves, garnished with cilantro.